June is often a stressful time at public schools throughout the world. Educators can be seen scrambling to finish their assessment of student growth, development, and transformation following ten months of intense and rigorous study. Coupled with this, learners are often placed in highly stressful situations whereby they are asked to empty their brains onto a piece of foolscap paper, sitting in cold gymnasiums. More often now, learners are madly trying to finish up project work, hurriedly putting the final touches on public exhibitions, and/or wrapping up their intense internship experiences. However a particular school is designed, June can be intense and chaotic. And all of this frantic activity has one goal in mind: to summatively assess the growth and development of learners in a meaningful and authentic way. What is often not assessed, however, is the one skill that may be most important skill of our time — the ecological literacy of our learners. Assessing for an ecological literacy is a perplexingly difficult endeavour, and it’s one that I have struggled with for my entire career. But it is also an opportunity as a community of educators to think deeply about the skills and attitudes required to compete against those who are hell-bent on destroying the planet. Given our our seemingly insurmountable task of overcoming these destructive forces and to some degree a general societal malaise, how do we teach and assess for an ecological literacy? What are these skills and values we are attempting to impart, and when do we know when someone has indeed become ecologically literate? For educators, whether teachers, parents, older siblings, homeschoolers, etc., these are exciting times! David Orr, the American academic who coined the term Ecological Literacy, suggests that someone who is indeed ecologically literate needs to have an understanding of basic concepts such as the laws of thermodynamics, energetics, carrying capacities, environmental ethics, etc. At a content level, we are able to assess whether someone has developed at least some sense of an ecological literacy. For instance, we can determine to what extent a student is aware that energy/matter cannot be created or destroyed. This has huge implications, as those who are aware of the first law of thermodynamics understand why burning fossil fuels has its limit and they begin to understand the notion of externalities. We can assess as to one’s understanding of carrying capacity and systems thinking. We can assess as to whether one can determine what is right and wrong when making decisions about our environment. The change in behaviour comes with creating educative experiences which cause disequilibrium within the learner. The more learners are able to question their role within the universe, the greater questions can be elicited about human existence on this planet. This is a different type of assessment – one which involves a dialectic and democratic conversation between educator and learner and one that is authentic. We don’t have to look into a crystal ball to see if a learner has been impacted by a deep educative experience and a meaningful relationship within a learning community if the design is sound. A few years ago, my friends Pauline Gerrard and Dean McLeod and I had the idea of creating an educative experience for young people at the IISD’s Experimental Lakes Area. This intense whole ecosystem field course for High School students has most certainly impacted the learners who have engaged with the ecosystem, the world-class scientists, and the quiet conversations around campfires or in the middle of a lake. But the experiences don’t have to be as intense, so long as we are equipping learners with the tools they will need in order ask deep and powerful existential questions and as long as the experiences are designed with purpose. This type of learning arguably occurs outside of the confines of a traditional classroom and leads to curiosity, inquiry, and praxis. To assess this questioning and praxis, we then need to create learning environments which allow for a horizontal conversation about our role on this rock hurtling through space. This is the heart of assessment and a pathway towards an ecological literacy and a better future for all species and systems. Over the pa st few years, I have been in the process of creating a Criteria of Experience for an Ecological Literacy to help guide my design process. I have borrowed from the Centre for Ecoliteracy, Dewey, and Freire to help me reflect on how I design educative experiences for learners. Please feel free to share, modify, or disregard altogether. As educators, how do we equip our learners with the skills, abilities, and literacy necessary to close these two gaps? My inquiry has led me to two hypotheses. First, learners need to be immersed in educative experiences which reveal how they are interconnected and interrelated with all systems on Earth. Second, These experiences need to lead towards learner-driven action, transformation, and a new ecological literacy. By ecological literacy, I offer this definition: To understand one’s connectedness to all systems, to appreciate the finite carrying capacity of the Earth, to predict consequences of human activity, and to ultimately create sustainable communities through action. Literacy refers to the skills and abilities to create new knowledge and ecological literacy relies on not only knowledge of the natural world, but also the drive to take meaningful and informed action — namely the notion of praxis. Pock-filled battlefields of Vimy Ridge at sunrise. As I sit on a plane hurtling across western Europe with 40 students following an eight-day whirlwind Victory in Europe tour, I am forced to contemplate some critical questions from the perspective of an educator beyond the ecological trail of mayhem we leave behind in our jet stream. As an educator paranoid and most likely overly-obsessed with conceptualizations of learning, transformation, growth, and experience, I am confronted with the reality that the experience created for these learners might very well be reduced to simply an experience of traveling, versus an educative experience where the outcomes are met, where brain chemistry and physiology are changed, where the learner has grown, and where new questions and pathways for curiosity are established. Put simply, how do we distinguish between generic and educative experience? 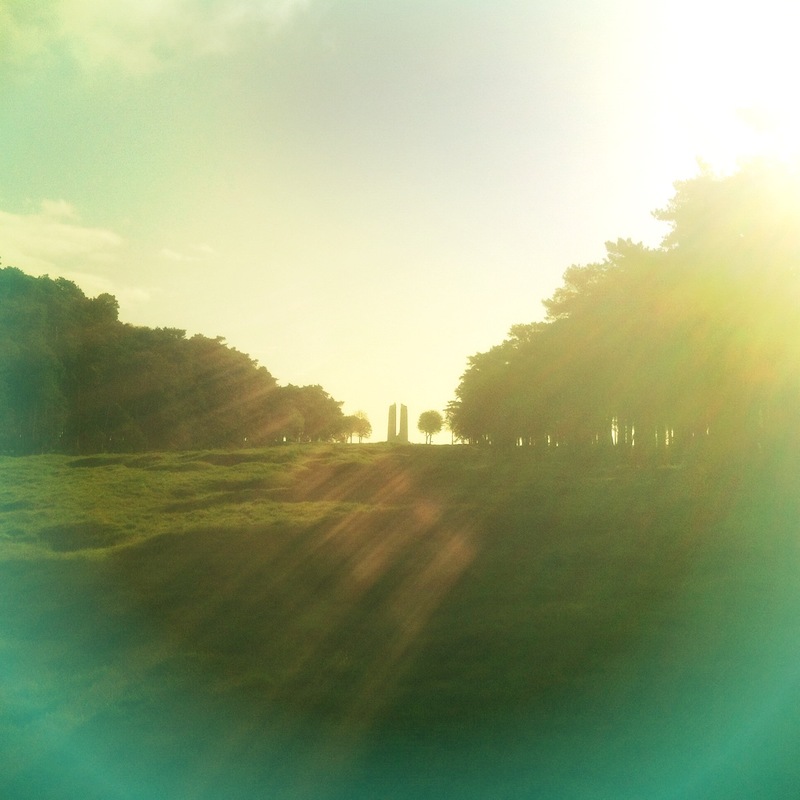 My first assumption that I will offer is that everything is an experience. Having your wisdom teeth removed, learning to smoke, writing a multiple choice test, and sitting in a white-walled room with no furniture and with no stimulation are all experiences. I would also suggest that an experience is not dependant on place, and could arguably be metaphysical and as we are ever more aware, digital. But educative experiences are those which produce moments of cognitive dissonance, or disequilibrium, and which are bridged by scaffolding and dialogue with peers and elders. This is what I presume to be educative experiences, where neurons are stimulated, where neural connections become more complex, and as my wife tells me (who is a brain-based learning expert, for sure), where dendrites, or the sheath around the neurons, become thicker and more robust. Given this understanding of experience and those which might lead to positive growth and transformation, how can I be sure that the outcomes of this past experience in Europe have been educative without being able to look into the brains of the learners? The day of the pocket MRI I suspect are well in the distant future. For me, the answer rests in the dialogic relationship that is fostered within a learning community. The conversations between individual learners, between learner and elder, and as a community become the barometer for transformative and educative experiences. It was fascinating to compare the experiences of the students through our informal chats in buses, at lunch, and on beaches. They remarked how our visit to the Netherlands, with various diplomatic events and crowded activities, had little impact in terms of their understanding of the occupation. They expressed frustration of being shuffled from one place to another, with little time to breath let alone reflect. 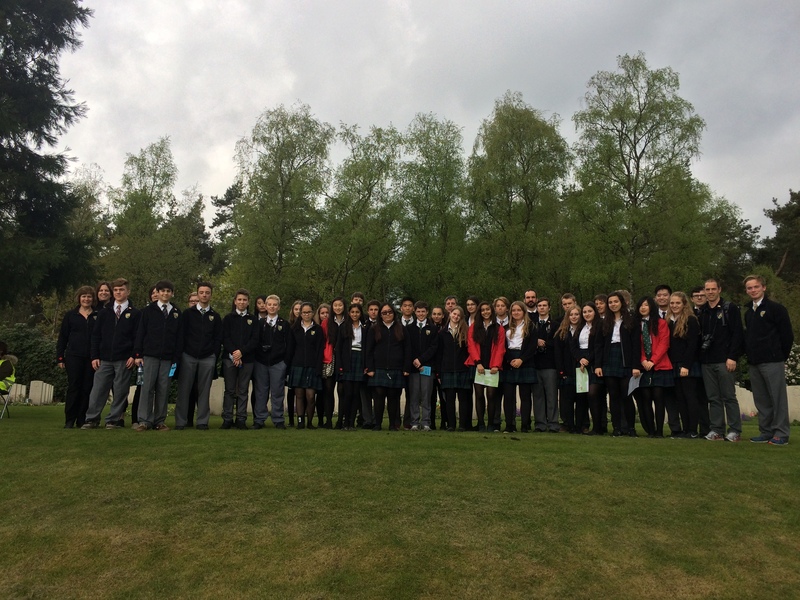 On my watch, the students experienced the Groesbeek Liberation Museum in twelve minutes. For letting this type of experience occur, I am truly ashamed and should have my teaching certificate torn up in front of me. 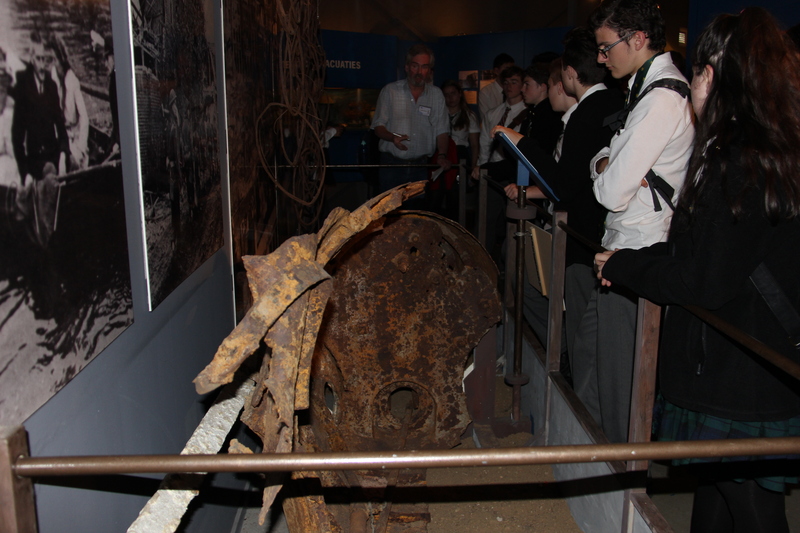 Inspecting a German mini-sub at the Liberation Museum. On the other hand they had powerful questions about WWI after our deliberate and slow visits to Ypres and Vimy. The pock-filled battlefields left them in awe of the destructive power of humans and the futility of war. As we descended into the depths of the Wellington Quarries, learners asked questions as to the war aims of the Central Powers and the Triple Entente. What was WWI all about? Was it about liberation from fascists or something else? The table was set for incredible conversations and debate. 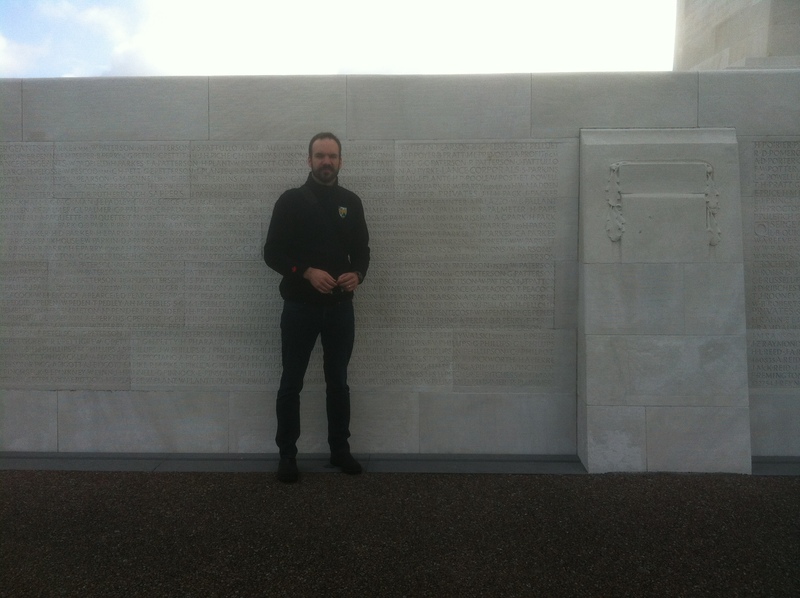 Standing at Vimy beside my great uncle’s name, Private M.J. Parsons, April 9th, 1917. Similarly, our visit to Normandy allowed the learners to take what knowledge we had front loaded in our year of lunchtime meetings and actually make sense of it by stepping onto the beaches, seeing the mulberries, and pulling out maps on the boardwalks when we had questions about time and space. The educative experiences were not universal as well. Individual learners, including adults, often shared contrasting stories about how they changed or what they learned. But the lesson for me is that transformation and growth are fundamentally based on curiosity, confusion, meaningful dialogue and reflection, and the physical and chemical change of the brain. While many of us can make sense of an idea or event, this can only be equated to thinking. Making meaning and applying this information is learning. The latter process is deliberate, purposeful, rigorous, and often long and frustrating. Back home in Winnipeg in my generic classroom, and to extend this idea past field trips, how can I foster educative experiences designed to change attitudes and behaviour? In a world that is in crisis, due to attacks on the planet itself and given the current geo-political realities, how can I make time and space for students to ask meaningful questions which affect their relationships with other humans, species, and systems? How do we create educative experiences whereby the learner is awakened to the idea that every human deserves the basic necessities for a decent life? These questions speak to the purpose of education and move beyond discussions of common assessment, common report cards, standardized tests, and new and baseless conceptualizations of 21st century learning, whatever that might be. These questions challenge me, knock me down, and spur me on my futile quest to come within a lightyear of excellence in teaching.